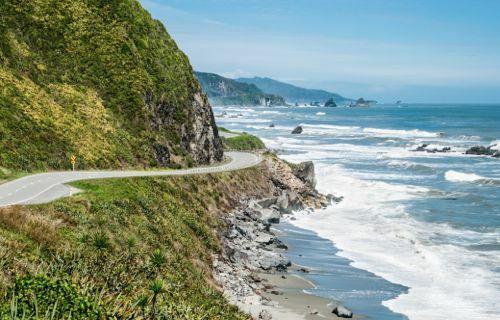 The South Island of New Zealand makes for some of the best road-tripping on the planet. 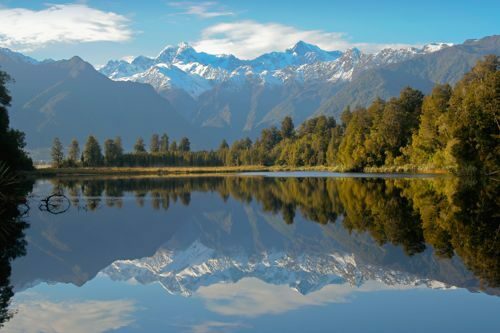 This three week loop from Christchurch will give you a taste of everything that New Zealand has to offer; whale watching in Kaikoura, wine touring in Marlborough, kayaking in Abel Tasman, boating on Milford Sound, this self-drive trip gives the opportunity for you to do it all. Accommodation is a mixture of boutique B&Bs and small, friendly hotels. Please note that all of our tours are completely flexible so we can alter this in any way you see fit. Arriving in Christchurch after a long international flight it is recommended to stretch the legs and breathe in the fresh South Island air. 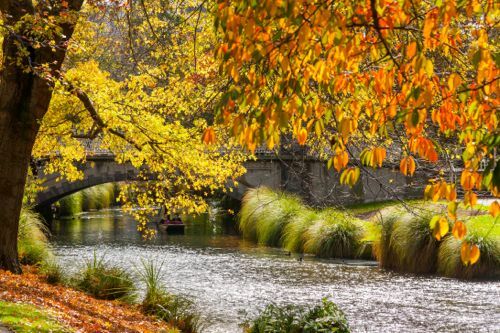 A favourite activity for this is a leisurely stroll in the beautiful Hagley Park. There is plenty to explore in the vastness of Hagley Park, or city centre which was severely impacted by the 2011 earthquake; the rebuilding is well under way and it is a sobering experience to watch the locals go about their daily business. Excellent examples of their resourcefulness are the Re:Start Container Mall and the Cardboard Cathedral, both of which should not be missed. 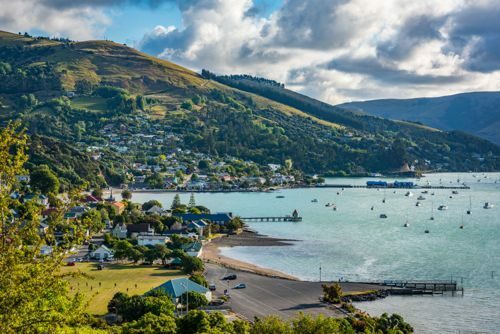 If you want to get out and about then we can arrange an early pick up of your hire car and a drive up the Port Hills or a little further afield to Akaroa are excellent options. If you decided to stay in the city yesterday and not pick your car up then that can be arranged this morning. There is no need to rush, as the destination is less than 2 hours away, which provides a perfect relaxed start to your South Island adventure. Heading north and joining the road towards the Lewis Path you will cross over the Waiau Bridge and enter a magical world. 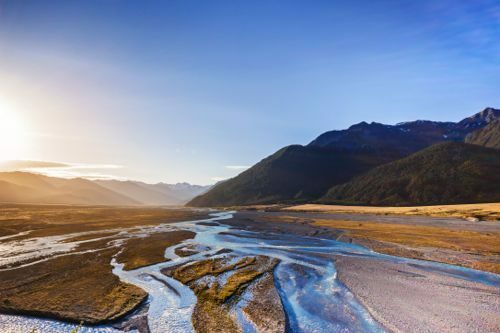 Hanmer Springs is often overlooked by travellers to New Zealand; however, it is a favourite among locals in the know and well worth a visit. The highlight of any excursion to Hanmer is bathing in the natural hot springs and enjoying the pampering of a world-class Spa. The naturally stunning location also allows for extensive mountain biking and walking; and to round out the day you can settle into one of the many great restaurants or gastro-pubs that dot the town centre. 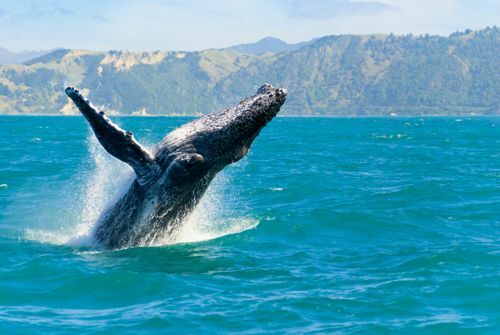 The destination today is Kaikoura, a remarkable location hemmed in by the Pacific Ocean to the east and the towering Kaikoura Ranges to the west. Ordinarily this stunning setting would be enough of a draw card; however, the real stars of this small town are the giant sperm whales that call Kaikoura home year-round. Whether it is out on the water or up in the air, seeing these majestic creatures of the deep in their natural environment is something that you will treasure forever. 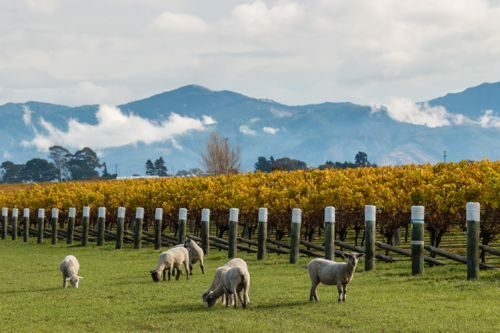 Blenheim is in the heart of the Marlborough region, nestled amongst endless vineyards and blessed by one of the warmest and driest climates in the country. The top attraction in the area is wine, wine touring, wine tasting and anything to do with the industry; but to say that is all there is to do would be to sell this delightful region short. Wine tours abound, and they are highly recommended, but if you want a different pace it is but a hop, skip, and a jump over to the Marlborough Sounds for a day on the water, a walk in a National Park, or perhaps a spot of kayaking. The West Coast of New Zealand is one of the last frontiers in a modern world and as such is a truly unique place. Windswept, rugged, and down to earth there is a myriad of adventures to be had. The tourist draw card is undoubtedly the Pancake Rocks at Punakaiki; however, there is much, much more to see and do. 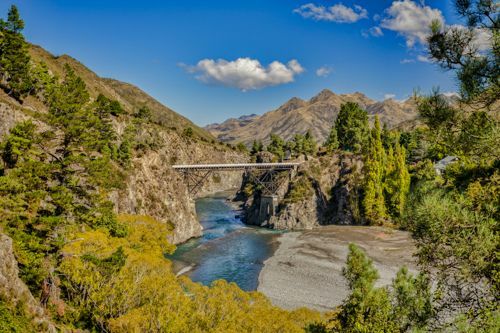 The “Coast” road is unforgettable, the Buller River, which, over millennia, has carved the Buller Gorge out of bedrock is a sight to behold and the walking and cycling tracks that criss-cross the area provide a great way of truly exploring New Zealand. There is also a history lesson or two to be had at Shanty Town, which is an exceptional living museum showing how the Coast came to be populated and how New Zealand’s forefathers carved out the country as we know it today. The town of Franz Josef has grown organically with the help of the natural wonder that is the glacier; which can be explored on foot, by plane, or by helicopter (weather permitting). The glacier is not the only attraction in town and the ruggedly beautiful setting provides the perfect backdrop for stand-up paddle boarding, kayaking & canoeing, 4WD off-road tours; not to mention an abundance of self-guided walking trails, lakes to explore and a great wildlife centre. Arriving over the Southern Alps you will immediately notice the drier, warmer climate of Central Otago. In Wanaka prepare to be greeted by a majestic lake, framed by steep mountains culminating in the sentinel Mount Aspiring standing tall far in the distance. 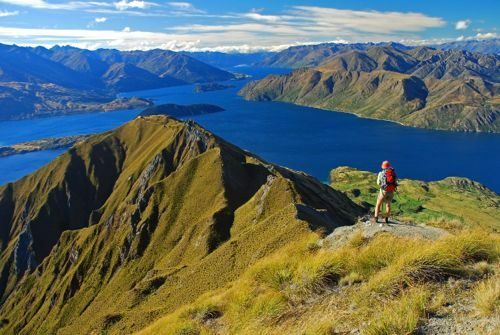 There is plenty to see and do in Wanaka, and whether it be walking or cycling along the lake edge, sampling great local wine in a lively restaurant whilst watching the sunset over Mount Aspiring, or planning to scale the heights of Roy’s Peak it is a truly memorable location and a place that holds the hearts of Kiwis young and old. There is not a lot that can be written and said about Queenstown that hasn’t already occurred. The superlatives do not do it justice and it is a place that has to be experienced to be believed. 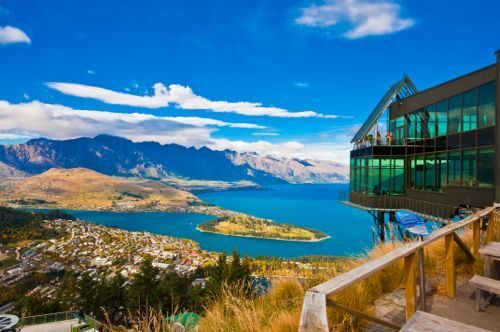 The home of Bungy, the Shotover Jet, the Remarkables mountain range, and the base for innumerable activities including trips to Milford or Doubtful Sound, and let’s not forget the sensational Central Otago vineyards that are close at hand. Your time here will be spent creating memories that will last a lifetime. The drive north toward Tekapo will take you over the Lindis Pass and down into Mackenzie Country, a place of incredible natural beauty. Spend your time here marvelling at Mother Nature and what she has created. The view of Aoraki/Mount Cook, New Zealand’s highest peak out over the emerald lakes is truly spectacular. 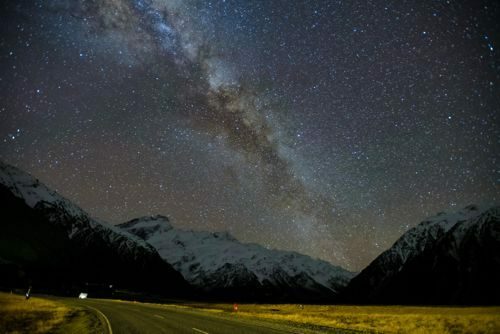 This however is not to be outdone by the Church of the Good Shepherd, cycling along quiet trails, or gazing with astonishment after dark at the only dark sky reserve in the Southern Hemisphere, Mackenzie Region International Dark Sky Reserve. Light pollution is strictly controlled here making it one of the best star gazing locations on the planet. Having been left spellbound by your experience in Mackenzie Country, it is time to make your way north to the garden city of Christchurch; along the edge of the Southern Alps, through small rural towns, and down onto the fertile Canterbury Plains. Arriving in Christchurch in the early afternoon you will have time to take in anything that you felt you missed when passing through the city when you arrived in the South Island almost three weeks ago or perhaps revisit a favourite location. Make your way to Christchurch airport where you will board a flight to Auckland and then onward to your destination.